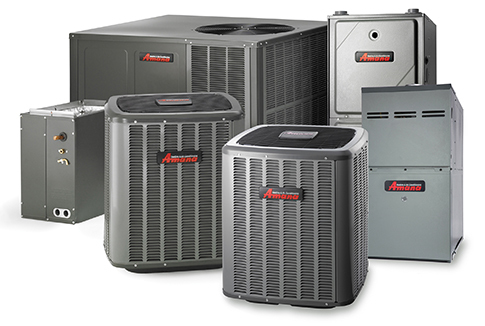 What HVAC size (Air Conditioner and Furnace equipment) is right for my home? 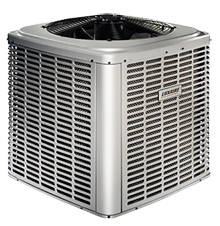 Many factors are involved when determining what HVAC size of an air conditioner or furnace would have the required power output to cool or heat your home. These factors include the extent of exposure to the sun and the outside air, the thickness and type of outside wall insulation, the size, type and number of windows and outside doors, the ceiling height, etc. Generally speaking, however, if you live in the Greater Toronto Area or Southern Ontario, you may use the following charts to estimate the correct size of the heating or cooling product that you may need for your home. 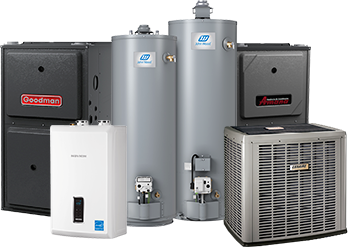 It is very critical in the installation of furnaces and air conditioning systems that you are recommended the right size unit most suitable for your home. Under- or oversizing can cost you performance, comfort and efficiency related issues when it comes to both the furnace and the air conditioner. Undersizing will, of course, result in the unit being unable to meet the desired temperature setting. Aside from the issue of your comfort, undersizing the equipment and/or material will most likely lead to the premature failing of the units. This being said, it is as important to make certain that the units are not oversized, either. It is rather a quite often observed misconception of consumers that the more powerful the furnace or the air conditioner, the better heating and cooling performance that will be achieved. Oversizing a furnace will result in many different shortcomings. First of all, what is most important in having a uniform distribution of the warm air is the optimum runtime of the furnace. The same statement is also true for an air conditioning unit with respect the uniform distribution of the cool air. When going with a more powerful hvac unit, it will satisfy the temperature setting quicker than when it should and it will not run that optimum length of cycle for you to have a uniform temperature everywhere in your home and the existence of those hot and cold spots in the house is inevitable in that case. With an oversizing of the gas furnace, there also exists a great chance for the overheating of the furnace. This is mostly caused because in the case of oversizing of a furnace, the existing ducts in the home will not support such high volumes of air flow causing pressure build-up in the return air duct and therefore overheating. 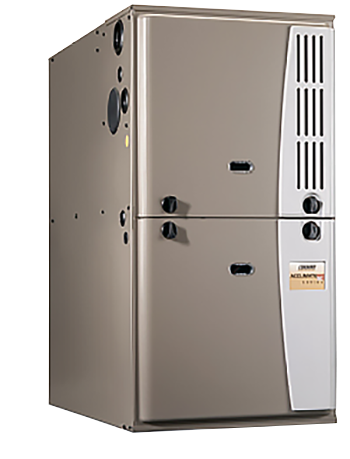 Also, do keep in mind that the maximum level of efficiency with the gas consumption of a gas furnace is achieved when the right size furnace is installed in your home. In fact, the right HVAC Size furnace should almost continuously run during the coldest day of the year. Of course, it should be able to satisfy your desired temperature setpoint. Aside from the non-uniform air distribution, oversizing an air conditioner will lead to uncomfortable and higher humidity levels in your home. As you know, an air conditioner is also meant to dehumidify the air. This is done through the indoor evaporator coil – installed inside the plenum (duct above the furnace) – that removes moisture and water vapour from the airflow passing through. When the air conditioner is oversized, it will stop running sooner than the optimum length of time it needs to run in order to also dehumidify the air. Another misconception is also the belief that by going with a bigger size furnace or air conditioner, there br will saving on fuel/electricity costs as a result of the units working less, which is certainly not the case. You always require the same amount of energy in order to heat or cool your house. The factor that determines this consumption is not the power rating; it is the efficiency of the unit. When the furnace or A/C is more powerful, it will use more power in a shorter period whereas a smaller size furnace or A/C would end up using the same energy but in the manner of less power in a longer period – which works out to have the same consumption levels. In fact, in the case of an oversized unit, some energy is wasted and the maximum efficiency of the unit would not be achieved. Again, the following tables are meant to provide estimates and a general understanding and overview of this topic; however in rare occasions and depending on some of the above mentioned conditions in your home, such as having open to above areas, the following may not be very accurate in generalizing your heat gain/loss calculations. What size of the hot water heater does my house require? 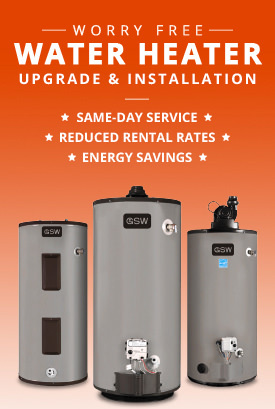 Does your current water heater keep up to the hot water you require? How old are the children in your home? Teenagers tend to use more hot water. How many dishes and clothes are washed daily? Do you use a dishwasher? Do you have a whirlpool bath? Once you are aware of your family’s hot water usage habits we will help you determine the right tank size for your home and you can also refer to the chart below. 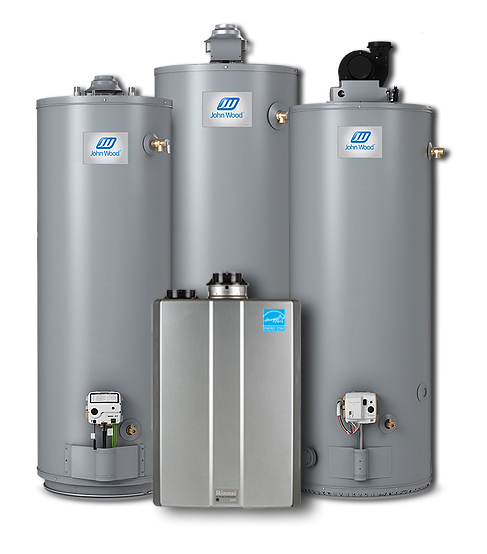 FACT – Maximizing the money savings on your water heater requires that you choose a tank that is HVAC size correctly for your needs. 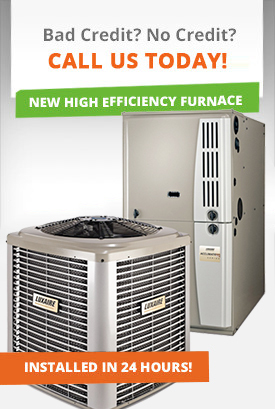 DeMark Home Ontario Inc can help you decide which HVAC Size is right for you.